"You are in my prayers." 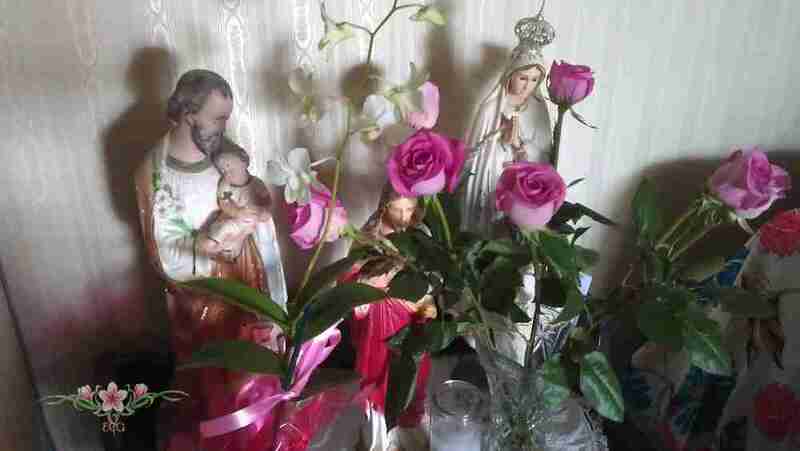 - Just by praying a simple Hail Mary for someone can bring s much comfort and hope. For more urgent prayer needs consider praying Blessed Mother Teresa's express novena that is never known to fail, the Memorare prayed nine times consecutively. Why is it so difficult to keep quiet when someone says something hurtful. Jesus remained silent during His passion. 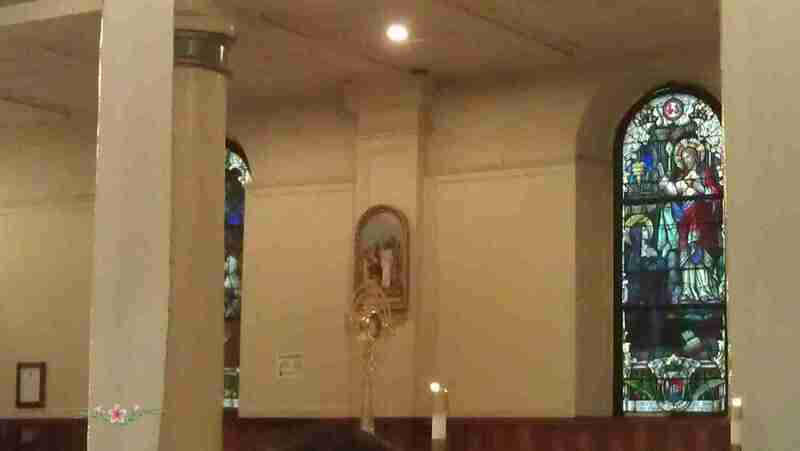 His Blessed Mother pondered things in her heart. Can we do less? It is no coincidence that being in the presence of our Lord brings true peace to our heart, mind and soul. And, once we leave His divine presence we may again experience anxiety, worry, and unrest. For this reason we should continuously ask Our Lord to keep us close to His Sacred Heart. 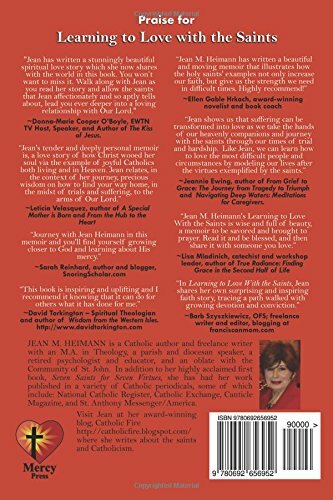 Jean Heimann, known for her extensive knowledge of our saintly friends, and who blogs at Catholic Fire, has written a new book Learning to Love with the Saints: A Spiritual Memoir. 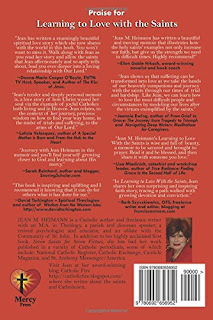 When I first received the book, I was already reading three other books that I wanted to finish before Lent was over, but my curiosity took over and I took a peek at Jean's book. Within a day or so, I had finished reading Jean's memoir. 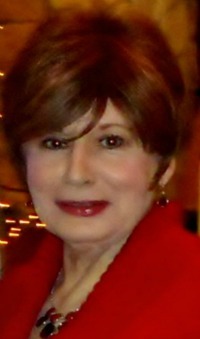 I was touched by the way that Jean shared intimate details of her life. We come to learn about a girl, a teenager, and a woman named Jean, who came from a good and devout Catholic family. She may have made mistakes or made the wrong choices along the way. Yet, she never gave up. Her love for God has made her who she is today and that is evident by reading this special book. There is an admirable quality in a writer who writes from the heart without trying to impress anyone. 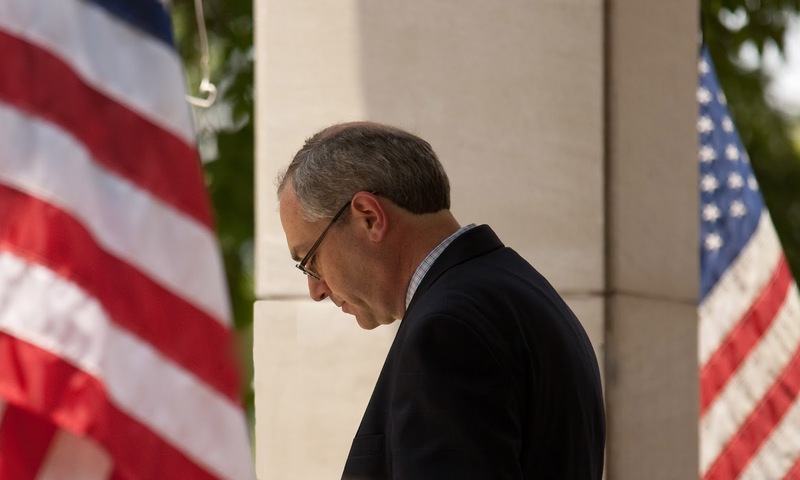 Accompanying her admissions and family memories are pertinent quotes and qualities of some saints who came to her help during difficult times in her life. 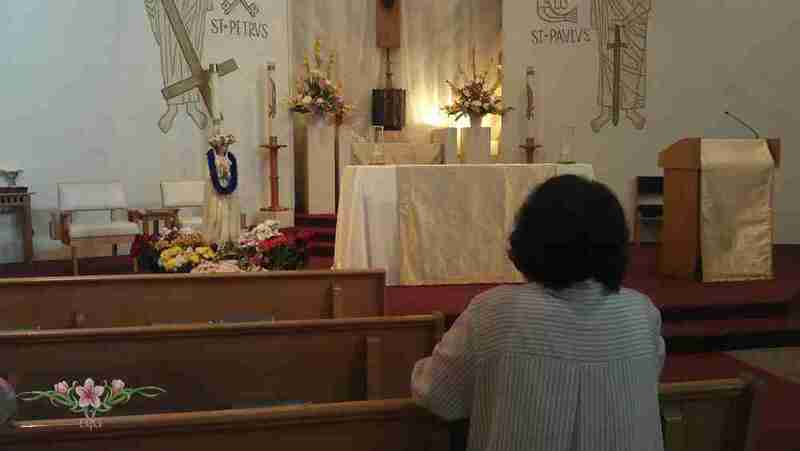 One cannot help but realize how much her life, both during the good and bad times, was influenced by these saints. It is evident that the ones who first influenced her most were her own saintly parents. 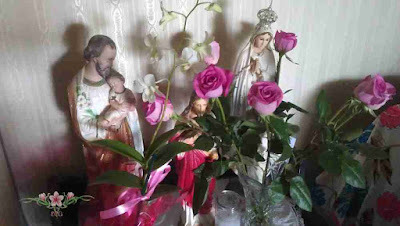 After all these years of getting to know Jean in the blogging circles and other social media, I have grown to respect her as being a fine, devout Catholic. My admiration has grown even more because of her sincerity in sharing facts about herself that could not have been easy to write about or even to remember. Her humility, compassion, and trust in God is clear on those pages of her book. There are many things in the book most readers may relate to, such as growing up in a large family, having loving parents who sacrifice for their children, spreading our wings, and making mistakes. 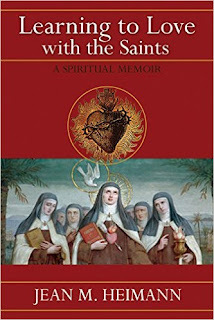 In the end, the book is about trusting in the Lord and his friends, the Saints. Please do yourself a favor and read this wonderful spiritual memoir. Monday, May 23--Virginia Lieto, Review, Virginia Lieto Book Giveaway! A Thought for Today: Do we need to hear "thank you"? Can't we be satisfied with doing an act of kindness just for the satisfaction that it will please God? The Rosary, the blessed beads that quietly slip between our fingers as we pray over the mysteries of Jesus’ redemptive life, has an ancient origin. Most likely it originated in the ancient East and not in the medieval West, perhaps in India. It was and still is a popular prayer device among the Muslims, who use the Arabic term masbahat , which means to give praise. Devout Muslims used the masbahat in repeating the attributes of God, just as it was used by the early Christian hermits. Following the Crusades the Rosary found its way to the West. The missionary who worked hardest to spread this devotion was Abed El-Ahad, Saint Dominic, and his Dominican companions. The Rosary became a popular method of prayer and spread quickly in the West during the Middle Ages. For Christians it has always been “the Gospel strung on beads.” It is a simple and easy prayer that can be employed for vocal prayer or silent contemplation by individuals, families, and communities. Since the 16th century the popes have frequently encouraged the faithful of East and West to pray the Rosary. The first was a Dominican pope, Saint Pius V, who wrote a papal letter about the Rosary in 1569 shortly after the Council of Trent, and instituted the feast of Our Lady of the Rosary. In the late 19th century after the First Vatican Council the illustrious Pope Leo XIII wrote more than ten encyclicals and instructions promoting the use of the Rosary. In a pastoral letter about the 1987 Marian Year, our Patriarch, His Beatitude Nasrallah Peter Sfeir, encouraged all Maronites to honor the Mother of God by praying the Rosary. Pope St. John Paul II, enthusiastic devotee of our Blessed Mother, in 2002 issued a pastoral letter entitled The Rosary of the Virgin Mary, in which he proclaimed October 2002 until October 2003 the Year of the Rosary, and put forth the Luminous Mysteries based on the public life of Jesus. Early on, the Rosary was a common method of prayer in the East among Christians and non-Christians. Even though it came to us through Western missionaries, it was and still is an easy and rich method of prayer to help the faithful fathom the mysteries of God along the journey of salvation. And we do so with a special companion, the Mother of God and our Mother. Praying the Rosary, particularly in the family, is an excellent method of bringing us together in the faith under the protection of her who always and everywhere intercedes for all people. 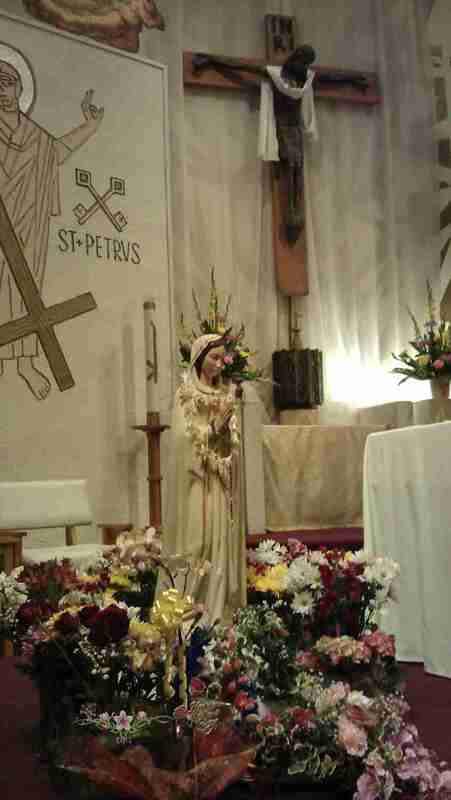 Let us spare no effort to remain close to her. EWTN Global Catholic Network, in its 35th year, is the largest religious media network in the world. EWTN’s 11 networks broadcast the Gospel message in multiple languages 24 hours a day, seven days a week to over 264 million television households in more than 145 countries and territories. Properties include direct broadcast satellite television and radio services; AM & FM radio networks transmitted through SIRIUS/XM, iHeart Radio, and over 500 Catholic domestic and international radio affiliates; a worldwide shortwave radio station; the largest Catholic website in the U.S.; electronic and print news services, including “The National Catholic Register” newspaper, and two global wire services; as well as a publishing arm. In just 100 days in 1994, approximately 800,000 people were slaughtered in Rwanda. The genocide counts as one of the greatest human tragedies in African history. Fr. Stanislaw Filipek SAC, a Polish missionary in Rwanda for over 30 years, has devoted his service to spreading awareness of God’s Mercy, building a Divine Mercy Sanctuary in Kigali and most recently coordinating the first continental Congress on God’s Mercy in Africa to be held in September 2016. During his visit to the international charity Aid to the Church in Need he spoke of his work in introducing Divine Mercy as experienced by Saint Sister Faustina Kowalska, the world-renowned apostle of Divine Mercy, in Rwanda today. “At some point the bishops started asking, ‘What is this all about, this God’s Mercy’. They didn’t know and they were afraid it was some kind of sect.” To answer the growing interest in the topic, the Pallottines in 2008 proposed to Rwanda’s Episcopal Conference to take responsibility for the movement and it has since grown rapidly with national chaplains, a national committee of Divine Mercy Groups and from September 9 to 15, 2016 in Kigali, Rwanda a first African Continental Congress on God’s Mercy will be held. “After the tearing of a society apart by genocide, war and mourning the victims, we see clearly that God’s Mercy might be the answer, an antidote to all this evil, by which people are afflicted” rejoices Fr. Stanislaw.